If you need a little more light on a subject than a normal LED torch can handle. Why not consider using one of these awesome 15,000 lumen LED lights, which is sure to emulate anything you point it at, whilst blinding anything in its path at the same time. 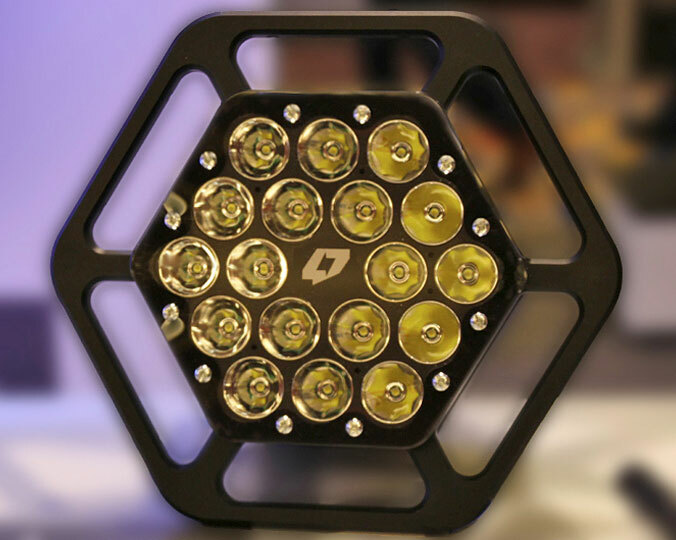 The XM18 is constructed using 18 smaller LED flashlights, which have been combined to gather to create the massive 15,000 lumens of light. All powered by 32 Lithium batteries and kept cool using an integrated fan cooling system. Watch a demonstration of just how powered the XM18 LED light can be after the jump. If you are in need of a lot of light the XM18 15,000 Lumen LED light is now available for $2,500. Each light is custom built on order, but if you feel 15,000 lumens isn’t quite enough you can combine a few more together if necessary.